Beatin' You Black & Blue With a Twist Of Purple! - Divassence! This is gonna be a somewhat of a dramatic look as u can judge from the title and yet going by my personality done with a pop of color. So here we begin with the tutorial! 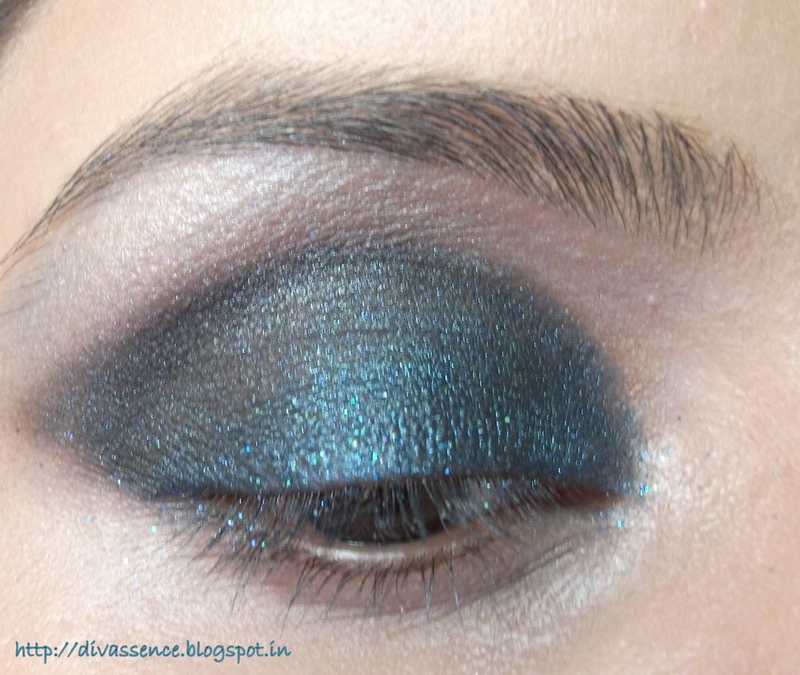 Apply a shimmery blue eyeshadow all over your lids. 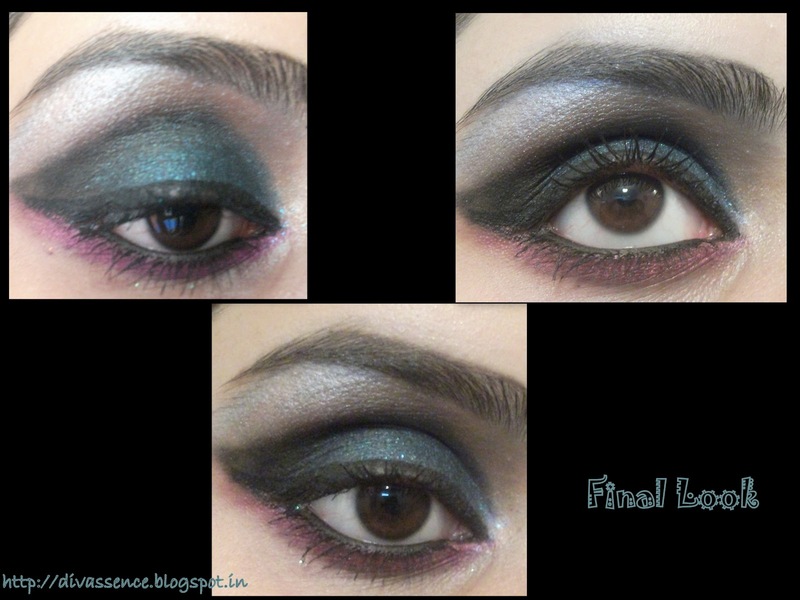 Next, apply a matte black eye shadow following your natural crease. 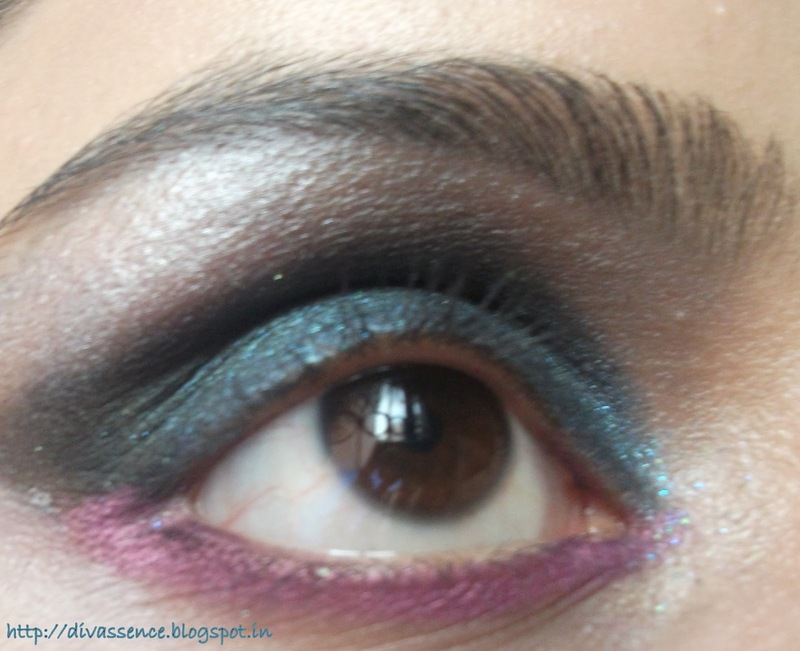 To make your eyes look bigger & wider flick it out a bit in a winged shape as shown in the pic. 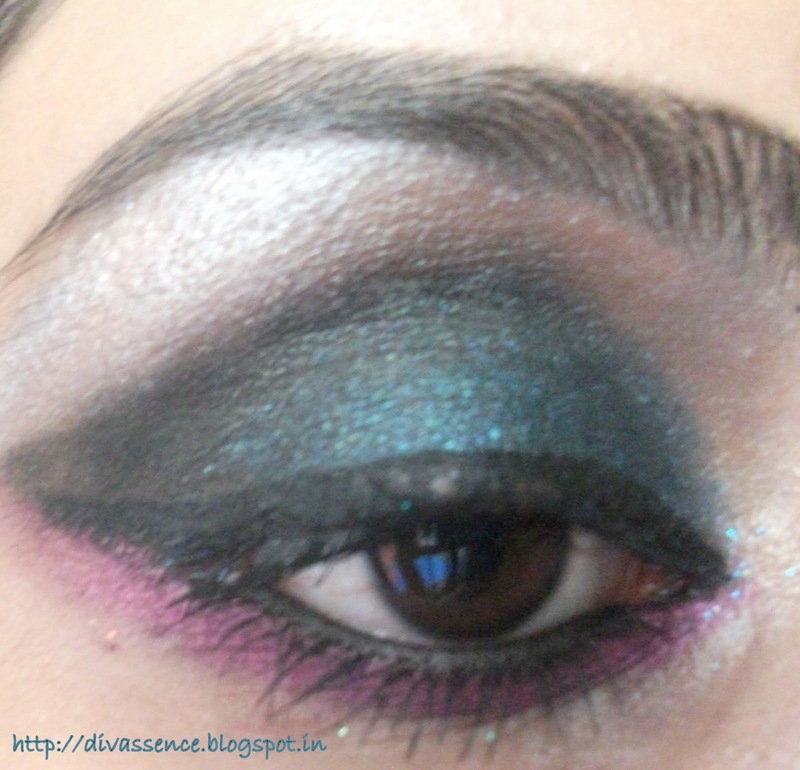 Blend the part where the two eyeshadows merge well. 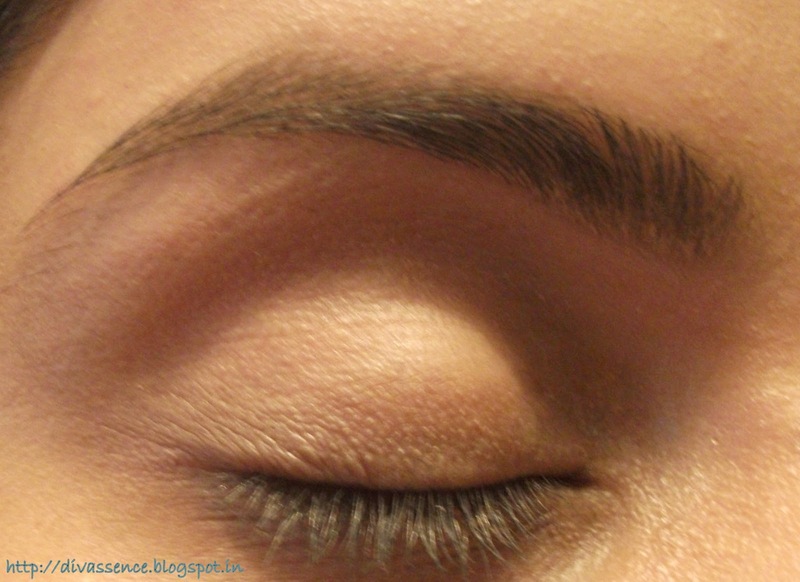 We won’t blend the black e/s towards the brow bone as we’re aiming for a somewhat dramatic yet wearable look. 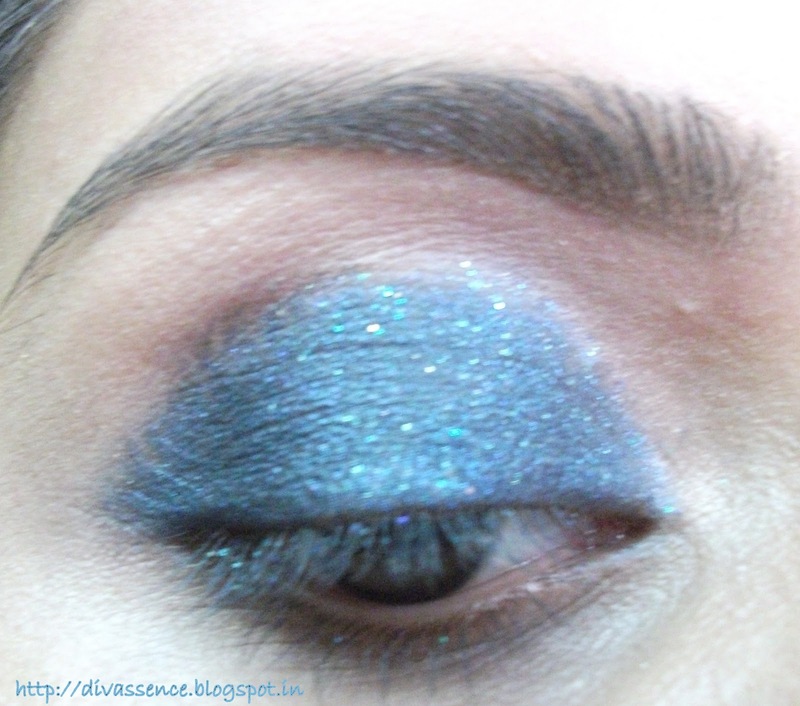 Apply a silver eyeshadow to highlight your brow bone. 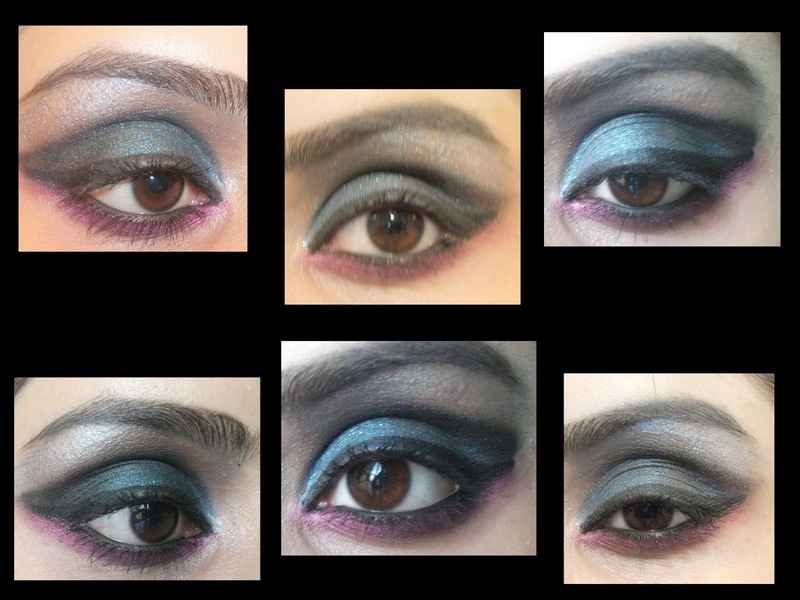 To add a pop of color apply a bright purple eyeshadow on your lower lashline starting thinly from the inner corner & thickening it towards the outer corner.You can also use a colored eye pencil for this. 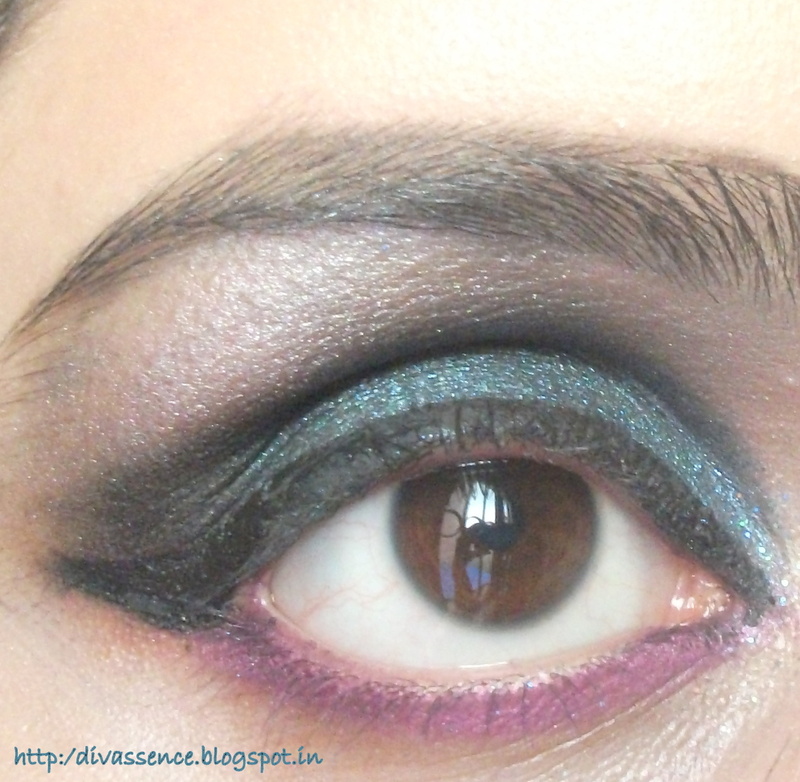 Apply a thick winged liner using a gel/liquid eyeliner. If you have applied the e/s outside your natural crease to make your eyes look bigger I highly recommend applying a flicked out winged liner as it will make the look neat & complete. 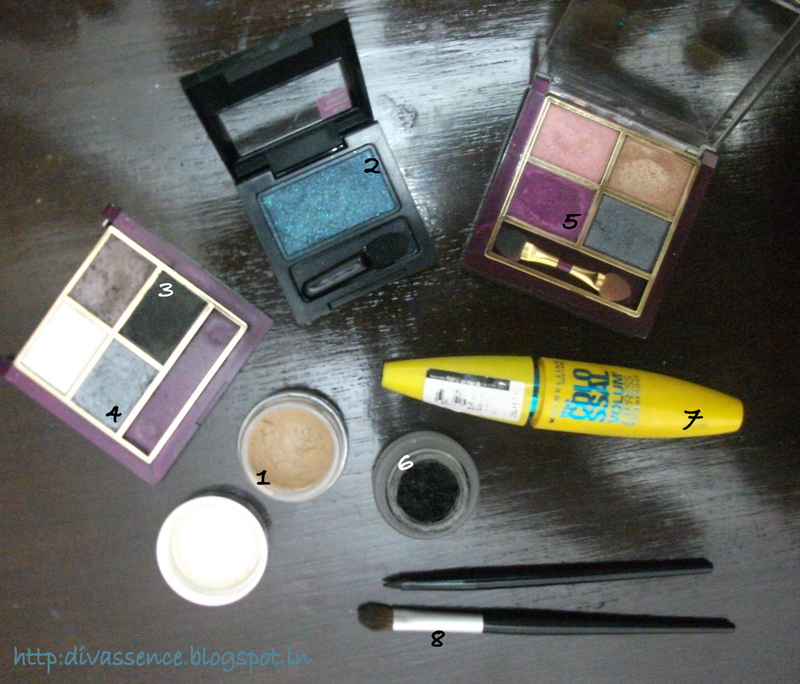 Apply a kohl/kajal on your lower waterline. Curl you eyelashes & apply loads of mascara. lovely!! <3 loved the “twist”!! can’t wait to see the wonders you’ll do when you get an actual brush kit! !